Using doors to frame an image is surely a photographic cliché. Given the chance, however, which aspiring photographer does not take it. While editing my photographs today, I was surprised to see how often I have tried to take such photographs, using anything from entrances to caves used by prehistoric peoples, entrances to prehistoric structures as well as doors and arches of ancient buildings. Some are clearly more successful than others, but it is clearly a theme I enjoy playing with and here are a few of my favourites. 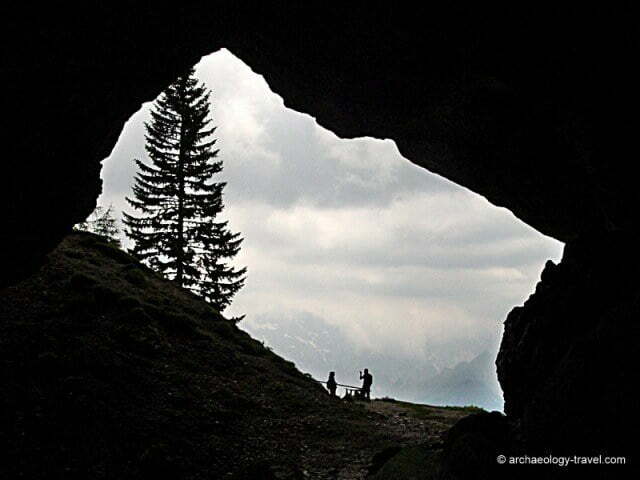 Potok Cave is Located about 1,700 metres above sea level on the slopes of Mount Olševa in northern Slovenia. Excavations here during the 1920s and 1930s recovered some important artefacts relating to some of the earliest modern humans in Europe. Of particular interest is an animal long bone that has a line of holes, which lead it to be identified as a flute. After quite a stiff climb there is nothing archaeological to see in the cave, but the view on to the mountains in this part of Slovenia is well worth the hike. The canyons of the Grand Gulch Archaeological District have a number of rock shelters that were used by prehistoric Anasazi. The earliest were the so-called Basketmakers, who inhabited the area from about 700 to 200 AD. Besides some spectacular rock art, a number of the shelters have well preserved buildings. 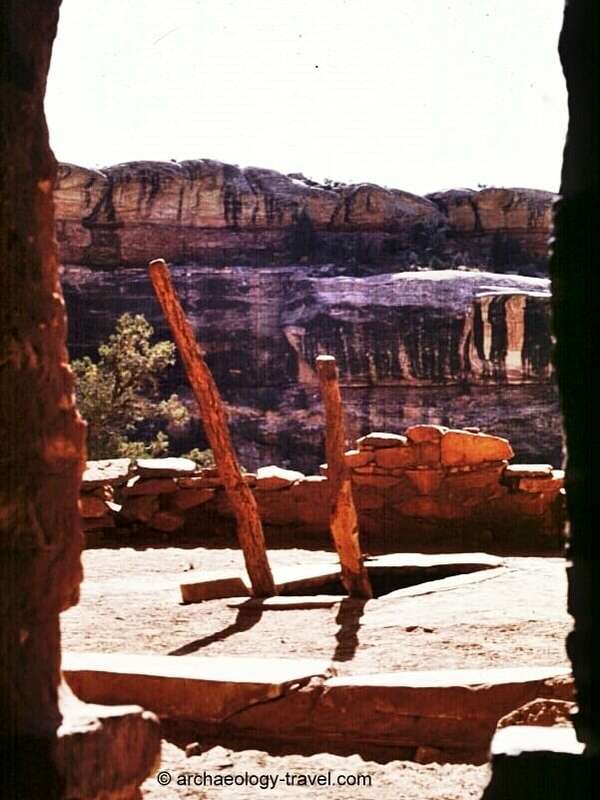 Here the doorway to one such habitation structure looks out onto the roof of a kiva, a roundhouse used for ritual purposes that is entered from above using a ladder. The Mortuary Temple of Ramesses III in the modern-day village of Medinet Habu on Luxor’s West Bank is important for both its architecture and the well preserved inscribed reliefs. Standing in front of the doorway of the temple’s second pylon, you look through the Ramessid Courtyard and the doorway in the courtyard’s columned portico onto the third pylon. 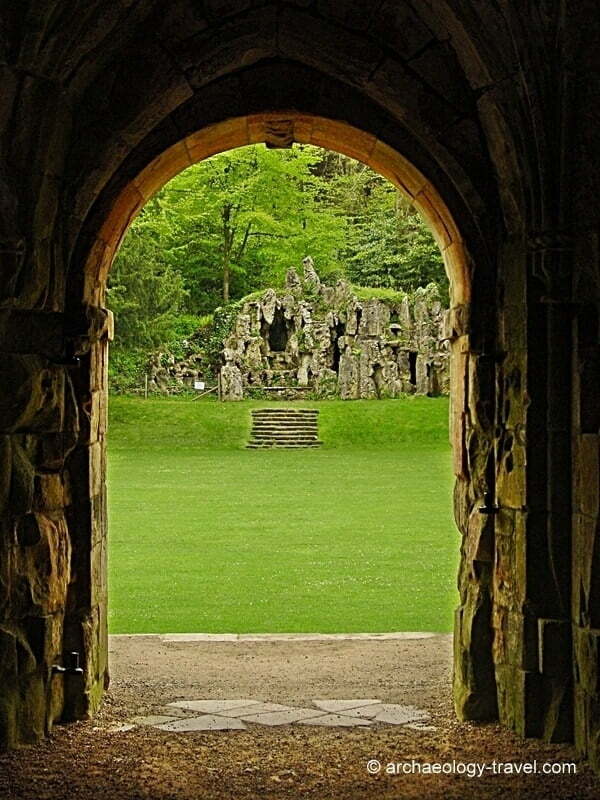 Old Wardour Castle is better known from the Hollywood blockbuster Robin Hood, Prince of Thieves. The shape of this 14th century castle was inspired by the hexagonal castles then in fashion on the continent. The front entrance looks directly onto an artificial grotto – the most recent addition to the castle’s landscape, created by Josiah Lane in 1792. Lane was a local builder of garden ornaments and was commissioned to build a number of grottos in the area. 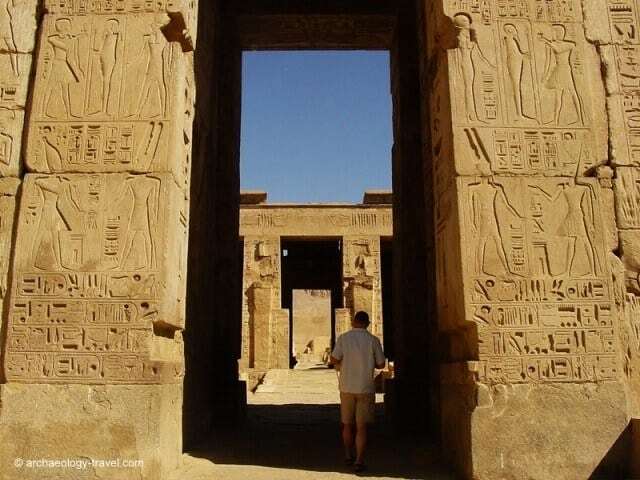 That’s got to be an amazing view and feeling while viewing… to look through the Ramessid Courtyard and the doorway in the courtyard’s columned portico onto the third pylon. Wow! It is an amazing temple, it is a pity that the columns, carved to look like Ramesses, are not in a great condition. Otherwise, this is a must see in Luxor, in my opinion.